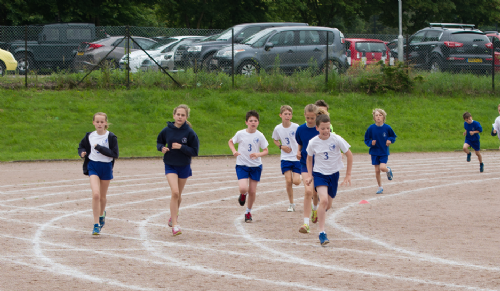 I feel extremely proud of all the children who took part in Area Sports this year. Not only did they perform fantastically but the teamwork they showed and the support for each other was amazing. They represented Felbridge brilliantly and it was a pleasure for me to take them. “On Wednesday 22nd June some members of Class 3, 4, 5 and 6 went to Sackville School to compete against other schools in an event called Area Sports. There was Vortex, Relay, Long and Broad Jump, Sprint, Long Distance and Obstacle Race. There was a great atmosphere although it was raining a bit but we all really enjoyed it. Overall, we came 2nd out of the small schools and St Peters were 6 points ahead of us in first place. Also every school represented a different country; Felbridge were France. It was an excellent day and we would like to thank everyone for supporting us.” By Chloe Daley, Evie Marsden and Beatrix Furbank.